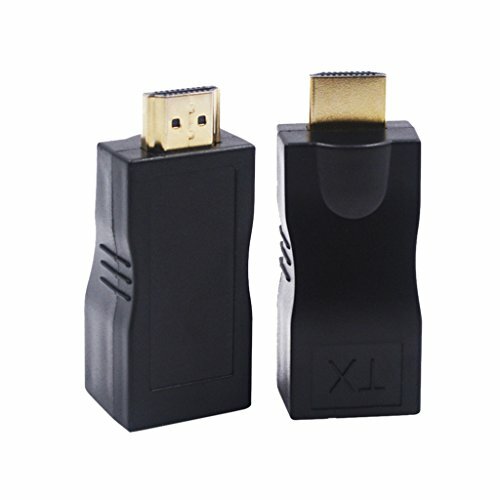 * PVC SHELL MATERIAL - HDMI Extender using PVC plastic, which is sturdy and durable. And it is small size, easy to carry. - Cat 5e or Cat 6 cable can substitute HDMI cable to achieve long distance transmission. - Transmission distance can be up to 30 meters for 1080p using Cat cable. 1.Plug the fixed HDMI connector of the sender into the HDMI input source such as: HD-DVD, PS3, STB etc. 2.Connect single Cat 5e or Cat 6 cable to both the output of the transmitter and input of the receiver.